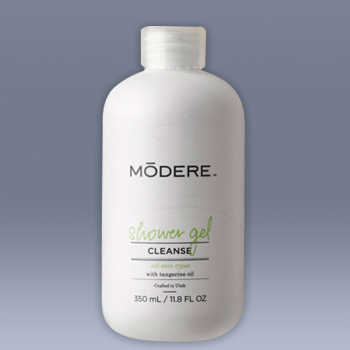 Its soap-free, gentle cleansing action cleans and softens your skin while it whisks away dead skin cells for a healthy glow. It says Shower Gel, but it’s every bit at home in the bath or at the wash basin. Rich in botanicals to help make your skin feel smooth, soothed and hydrated. A great way to start or end your day, don’t be surprised if you find new ways to get dirty just so you can shower again. Water, sodium C14-16 olefin sulfonate, decyl glucoside, cocamidopropyl hydroxysultaine, sodium isostearoyl lactylate, sodium methyl cocoyl taurate, disodium cocoamphodiacetate, butylene glycol, citrus tangerina (tangerine) peel oil, aloe barbadensis leaf juice, ocimum basilicum (basil), equisetum arvense extract, panax ginseng root extract, rosmarinus officinalis (rosemary) leaf extract, salvia officinalis (sage) leaf extract, sambucus nigra flower extract, methylchloroisothiazolinone, methylisothiazolinone. "Sure, others claim to be safe, but have they been doing it for 25 years? We have. We’ve elevated the everyday shower to enlightening status, with the naturally derived botanical extracts and rich, luxuriant lather found in Shower Gel. This uplifting formula gently cleans, exfoliates, and revives your body and mind, giving you the boost you need to take on the day and win."